Intimate musings, daring illustrations, and experimental printing styles converged at the fourth-annual Bushwick Art Book & Zine Fair (BABZ), hosted at Signal gallery in Brooklyn this past weekend. This year, the fair's roster included a wider range of independent publishers with international reach. 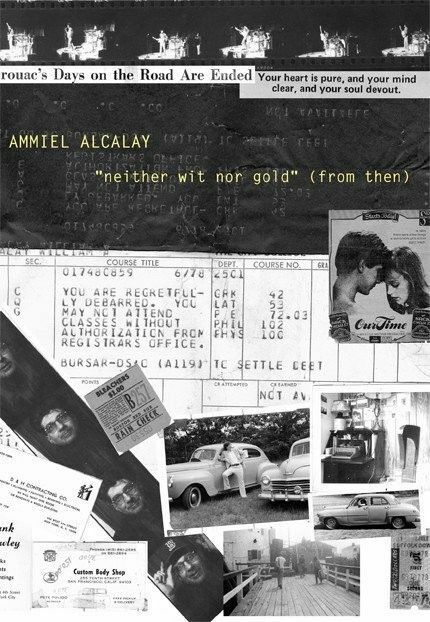 We rounded up our seven favorites, from a self-published, race-focused zine printed in limited quantity to an artist-run press putting out beautiful, offset-printed books. Check them all out below. Baltimore-born, New York-based artist Devin N. Morris is the brains behind this zine. 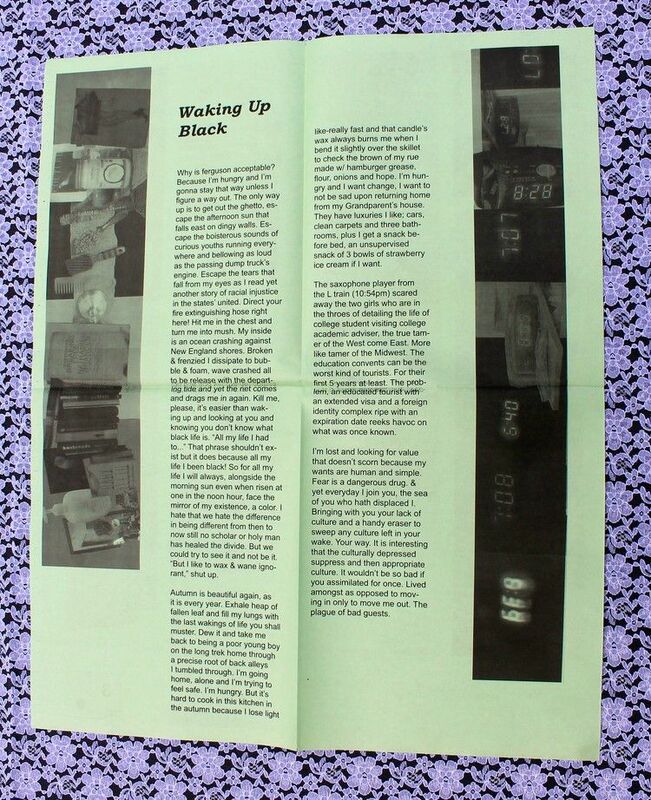 Printed annually, it features a mix of photo collages, illustrations, and musings, grouped into thematic issues like "Gray Areas" and "Waking Up Black." In a special edition, the question "Why is Ferguson acceptable?" draws readers into a poetic piece about the psychic effects of racism on black bodies. Photo courtesy of Small Editions. A mix of handmade books and note card sets emblazoned with phrases like "Emotional Labour Workers Unite!" and "With Full Consent" abound at this booth, from an independent publisher based in the Columbia Street Waterfront District. 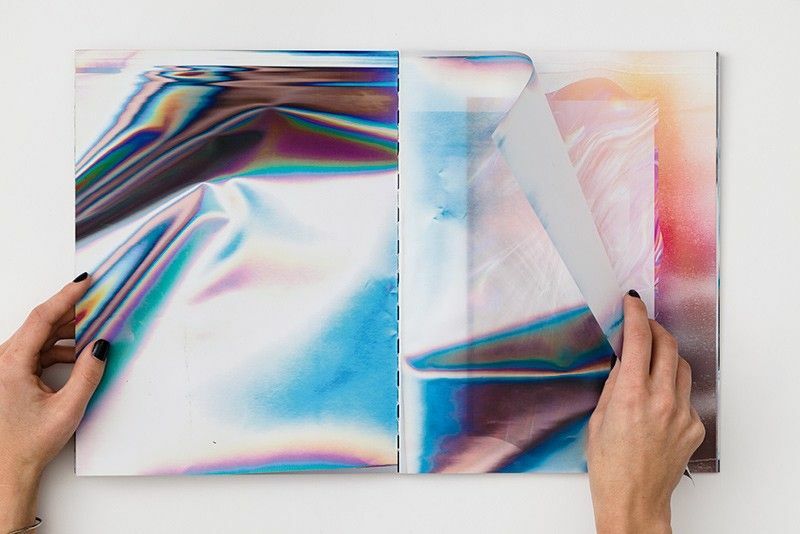 The stand-out work, Transitory Flatspace, by artist Anne Vieux, runs in an edition of 15 copies, and has double-sided, holographic pages that explore our perception of color and space in the digital landscape. Founded in the 1990s as a zine, this Gowanus-based publisher now produces a range of works by emerging writers, poets, and artists, including chapbooks, broadsides, periodicals, and translations. Avant-garde, experimental writing and unusual titles set the collective apart as a source of cutting-edge literature. Two recently released titles are especially excellent: Erica Baum's Dog Ear (with essays by Kenneth Goldsmith and Beatrice Gross) and Cara Benson's Let Me Be Clear, which includes poems from Bernie Sanders' filibuster speech. One-of-a-kind, marbleized notebooks by mixed-media artist Sto Len and letterpress prints by artist Emma Kohlmann were on prominent display at this Williamsburg gallery's table. 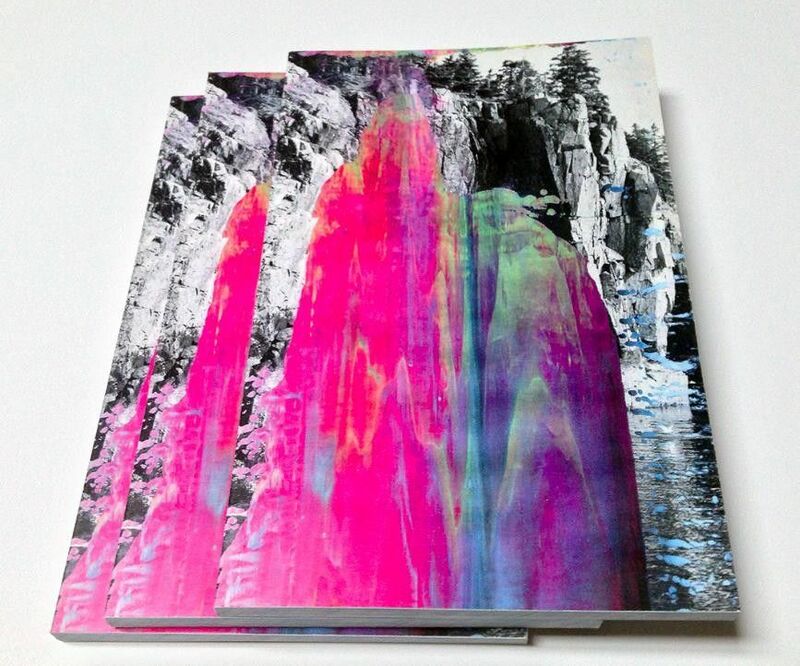 In addition to highlighting individual artists' works, Cinders Gallery produces limited edition books from artists who share an affinity for psychedelic color palettes and eclectic imagery. Their list includes titles like Aidan Koch's Field Studies and Maya Hayuk's Just Good Vibes. After a successful group exhibition at Chashama gallery in 2012, artists Paul John and Anthony Tino launched this curatorial and print endeavor. The duo host events and produce limited edition prints and books, which are on sale at Printed Matter, McNally Jackson, New York Public Library, and Artbook at Moma PS1. This independent publisher prints books and magazines about photography, typography, architecture, and graphic design. The magazines span an impressive geographical distance: DAGA is printed in Chile; PAN, in Japan; and Graphic, in Korea. 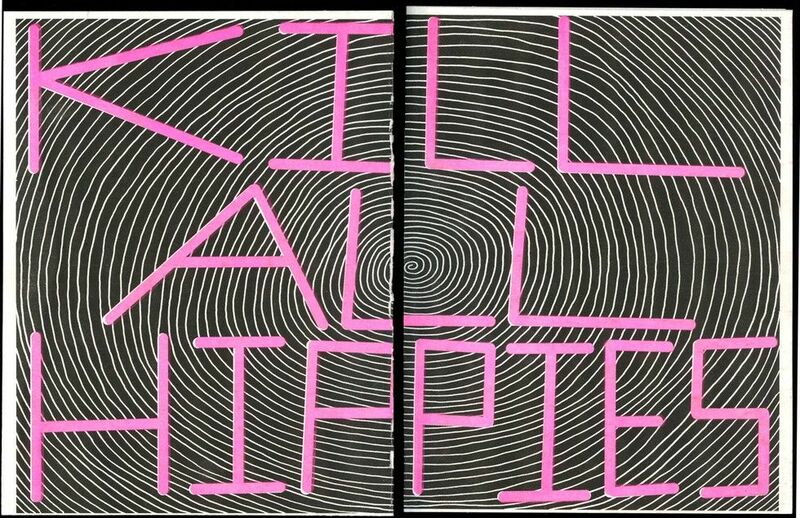 Rare and limited edition pieces, like posters of Allan Kaprow's work from the '60s and a graphic design book put out by CalArts students just this year, round off the selection. Issues--which as the name implies are biweekly--are centered around eclectic themes like fashion, the color green, the word "paradise," and, most recently, the tragedy in Orlando. In that issue, "say their names" is scrawled across one page, followed by a series of illustrations of plants and the names of those that were killed at Pulse night club. 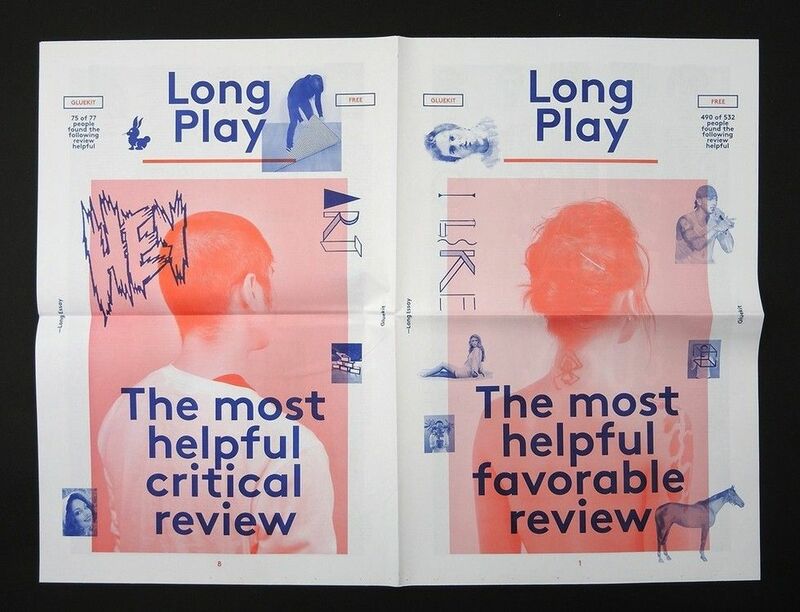 Irreverent, sometimes cheeky, and thoroughly engaging to read, the zine might just be worth a subscription. Splash photo courtesy of Draw Down.